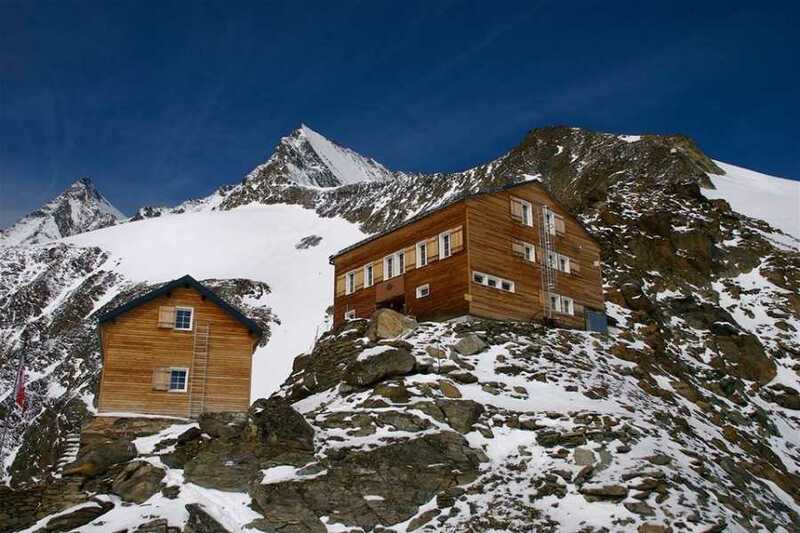 Nadelhorn 4327m from Mischabel Hut - Saas-Fee Guides - The mountain guides of the Saas-Fee valley. 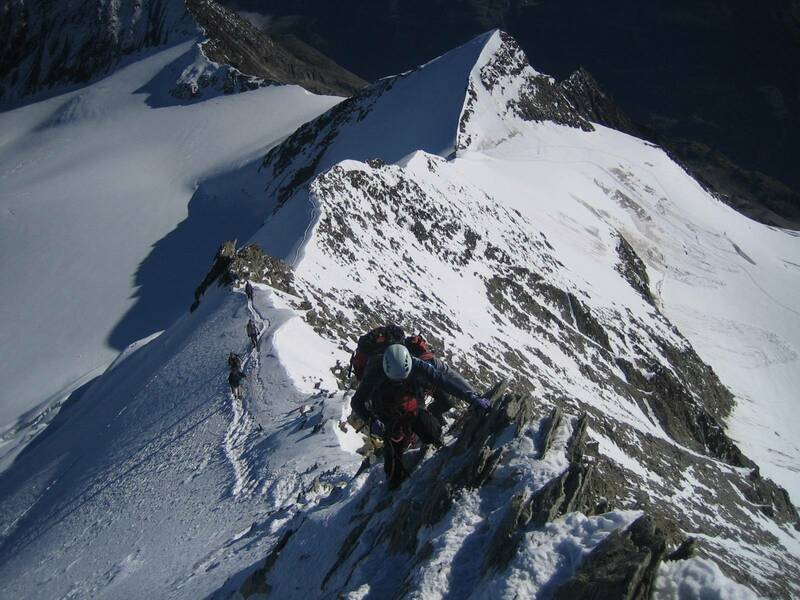 The Nadelhorn is aptly named as in German the term refers to a great needle as when viewed from the Southwest, the peak appears sharply pointed with a hole just below the summit. 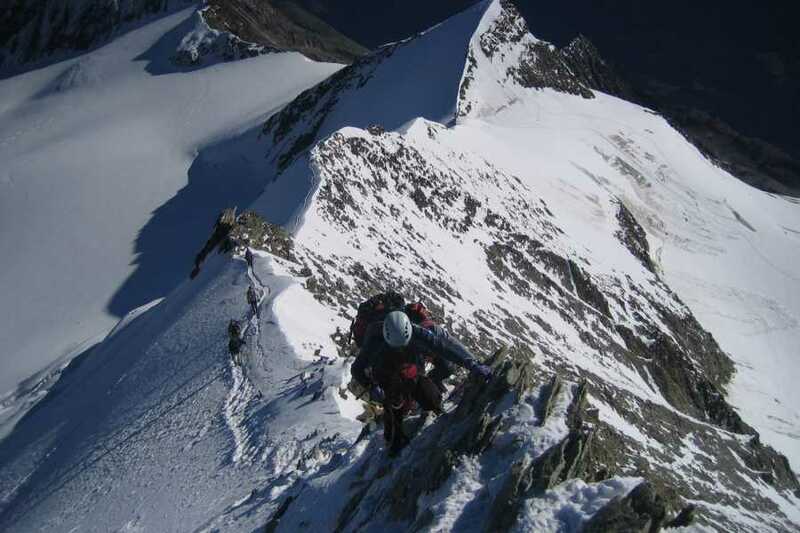 Its is the easiest climb in the dramatic Mischabel Group but still requires very good physical fitness and solid footwork in crampons. 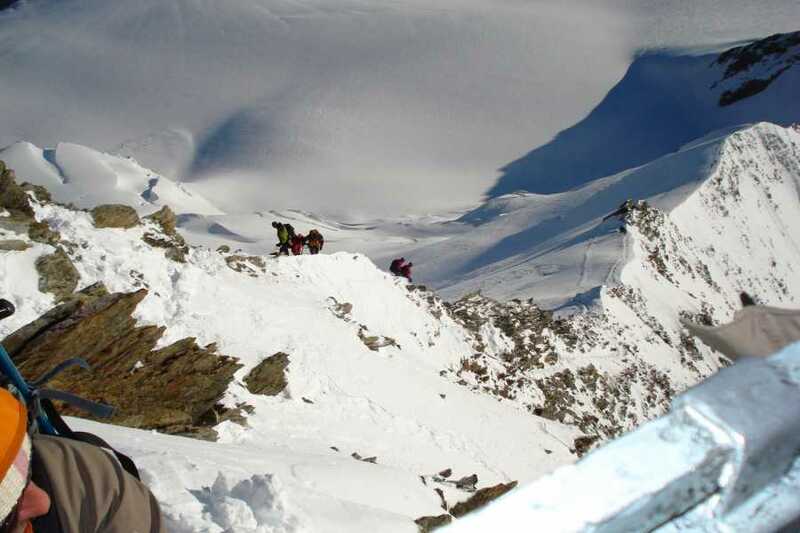 The climb is varied in different conditions and the final summit push requires some easy scrambling in rock and ice. The proximity and views of the other dramatic peaks in the Mischabel Group is spectacular. 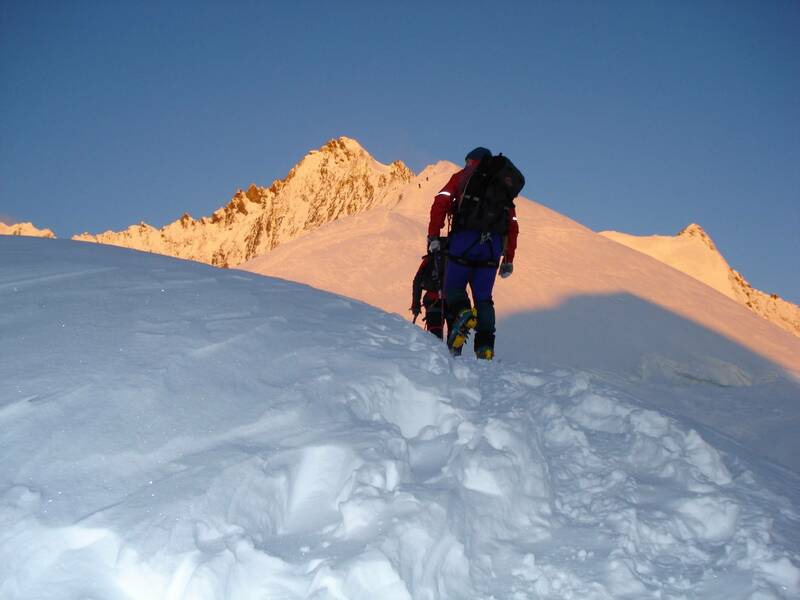 The day begins with an early morning alpine start at the Mischabel Hut. Under the light of our headlamps we follow a rocky path to reach the Hohbalm Glacier. We traverse the glacier and ascend up a steep snow slope to the Windjoch at 3850m. Here an amazing sunrise with endless views awaits. 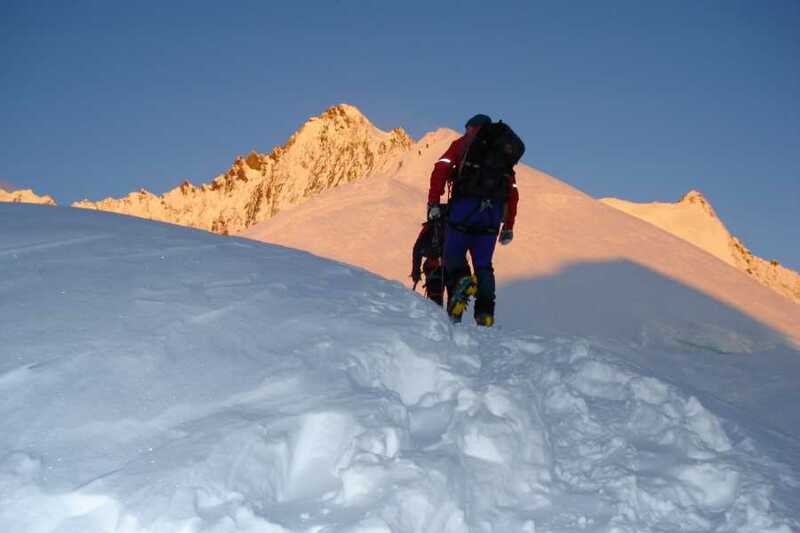 We reach the summit by following a snow ridge that is the ideal and direct line to the highest point in the sky. 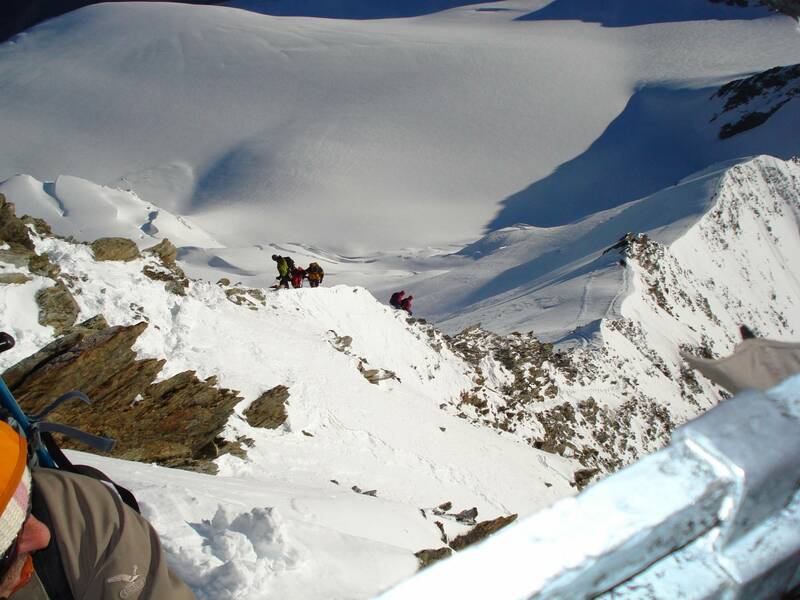 The 360 degree view from the summit is vast and nothing short of breath-taking. It is only interrupted by the nearby Lenzspitze and the mighty Dom. The descent is via the same route. ++ Tour of medium difficulty, easy rock.